As adoption professionals, we are required by law to provide prospective adoptive parents with all the information we have about the child to be adopted so that you may make an informed decision about your ability to provide a permanent home for the child. You will be invited to attend a disclosure meeting, during which the child’s social worker will present you with a written disclosure form documenting the child’s history, current needs and anticipated needs. You should be provided with copies of birth and medical records, and with any developmental, psychological and educational records available. You should also be provided with the names and phone numbers of those adults who know the child, including foster parents, teachers, doctors and therapists, and encouraged to speak with those adults to gather as much information as possible about the child you wish to adopt. 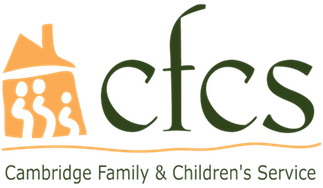 Your CFCS social worker will attend the disclosure meeting with you to ensure that you receive all the information to which you are entitled, and to help you understand that information. In most cases, you will not meet the child during the disclosure process, as social workers work hard to protect children from the possible hurt and rejection that could occur if you were to decide not to move forward with the adoption. If both you and the child’s social worker agree that your family is the best match for the child, you will begin the process of transitioning the child into your home.